How has the Sutton Trust impacted upon government policy? 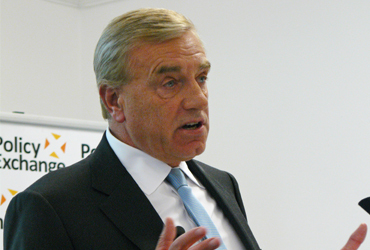 In 1997, Sir Peter Lampl set up the Sutton Trust to improve social mobility through education. In just short of two decades he has personally invested £50m in the charity, but how does he and the Trust make sure that every penny spent is having the biggest possible impact on outcomes for disadvantaged young people? As the British philanthropist explained in his latest Philanthropy Impact blog, he benefited from an excellent state-funded education that helped him go to Oxford University and on to a successful career in private equity. That was back in the 1960s. When Sir Peter returned to the UK in the mid-90s after a period of working in the US, he was shocked the find how things had changed. There had been a serious decline in the amount of undergraduates from working class backgrounds, whilst the state school he had attended was now fee-paying. The social mobility that had helped him hadn’t just stalled in the UK, it was declining. The charity supports 3,500 young people each year through its programmes, including residential summer schools. The Trust combines this direct support with investment in research, policy and advocacy as it strives to have a long-term and significant impact on social mobility in the UK. Without the Sutton Trust’s research the reality of the country’s low social mobility might not be on the national agenda. However, the charity’s work has ensured that social mobility issues remain a key concern, so much so that the new Prime Minister Theresa May paid particular attention to addressing it in her first speech outside 10 Downing Street. “In 2012 we published research that found a 19 month gap in school readiness between the richest and poorest children at age 5. To help close this gap, we argued that plans to extend the existing number of free nursery education hours each week for all three and four year olds should focus on intensive support for two to four year olds from the most disadvantaged families. As a result the Government now provides 15 hours a week of early learning to disadvantaged two year-olds, in addition to three and four year-olds.